Dorothy Louise Atkins, age 66, of Mount Vernon, Kentucky, passed away Thursday, November 15, 2018 at Ephraim McDowell Regional Medical Center in Danville, Kentucky. Born Monday, July 28, 1952 in Crab Orchard, Kentucky, she was the daughter of the late Paul Francis Shelton, Sr. and the late Every Adams Shelton. Dorothy was the widower of the late David Logan Atkins, Jr. Dorothy previously attended Beech Grove Baptist Church in Crab Orchard, was a homemaker, and loved to cook. 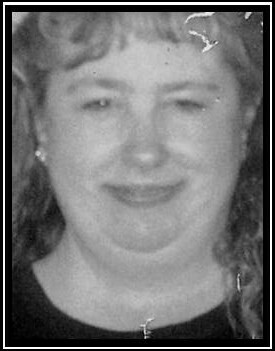 Dorothy leaves behind two sons, Darrell Atkins (Jennifer Kidwell) of Lancaster, Kentucky, and Brian Atkins (Jenny) of Waynesburg, Kentucky; two grandchildren, Cody Angel and Abigail Jones both of Waynesburg; one grandson due January 2019; and two brothers, Gregory Shelton (Debbie), and Paul Shelton (Rhonda) both of Crab Orchard. A Funeral Service will be held 1:00PM Monday, November 19, 2018 at Fox & Friend Funeral Home with Bro. Dan Gutenson officiating the service. Burial will follow in Buffalo Springs Cemetery. John Adams, Randall Price, Rodney Price, Dustin Price, Duane Turner, and Jerry Petrey will serve as Active Pallbearers. The Visitation will be held 5-8PM Sunday, November 18, 2018 at the funeral home. Fox & Friend Funeral Home, Stanford, is entrusted with Dorothy’s arrangements. Guest Book at www.friendfuneralhomes.com.